Are you botching the Security of your AngularJS applications? The information on this site is available for history purposes, but is no longer maintained. Start blog Are you botching the Security of your AngularJS applications? 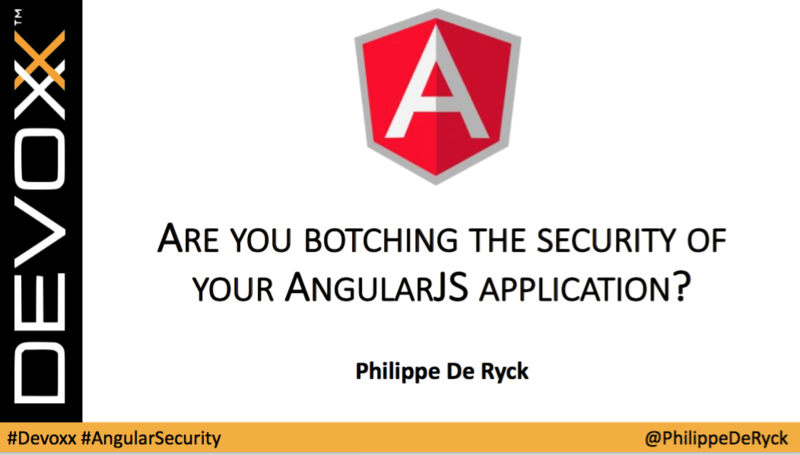 I talked about AngularJS' built-in security featuers at Devoxx Belgium in November. Below, you can find the slide deck and video of that presentation.